The story revolves around a 27-year-old man who becomes unemployed after quitting his job of 3-months, claiming that it is because it "does not fit his highest potential". As a result of this action, he finds it difficult to gain a full-time job at another company and instead he works as a part-timer at a mini market. 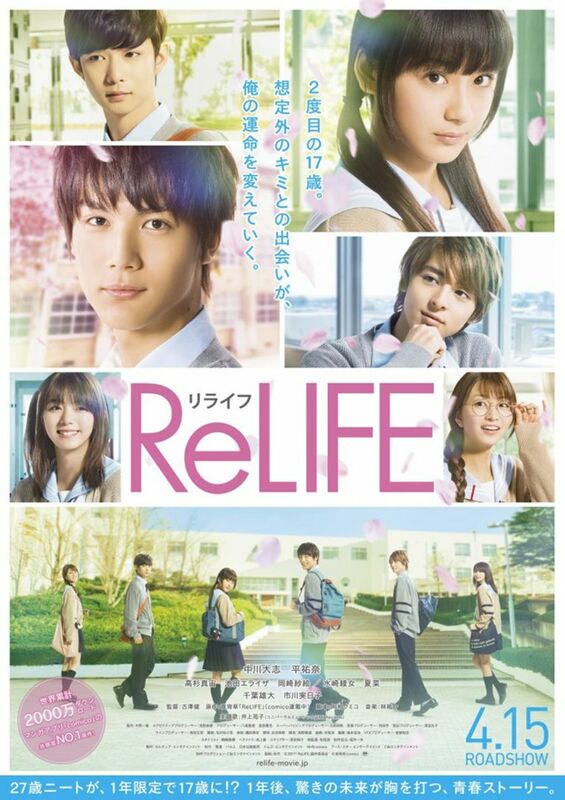 One day, a mysterious man named Ryō Yoake offers him a job opportunity, but first he needs to become a tester for ReLife: a scientific experiment to rejuvenate him by 10 years and send him back to high school as a student. Apparently, the experiment is supposed to provide a chance to experience youth once again and, in the process, fix whatever is wrong with the subject's life. Read more on Wikipedia.